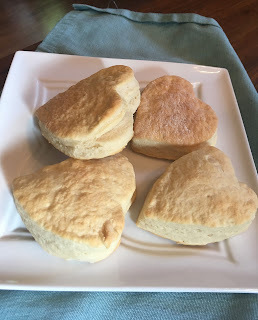 On Father's Day - way back on June 16th - I made some delicious flaky biscuits to serve as the base for my husband's favorite Southern breakfast. I cooked the whole meal in about an hour that Sunday morning so both of these recipes are worth it and they tasted delicious according to him. Grandma's Flaky Buttermilk Biscuit recipe came from Ann at Cooking Maniac. She talks a lot about how wonderfully flaky these biscuits are and they did not disappoint. They were very easy to split open and serve with our favorite toppings; Groovy Girl and I had ours with vegan butter and jam; he had homemade sausage gravy. I would definitely go back to her website when looking for authentic homemade recipes. I searched and searched for a good homemade gravy recipe and I found the perfect one on the Food Network from (not a surprise) Ree Drummond. My husband enjoyed several helpings and there was enough for leftovers for him to eat two other mornings. I created another special meal for longtime friends of ours. Tim is retiring and moving to their cabin home in Maine while his wife, Lynne will remain here and teach for another year or two at UNI. We wanted to have them for dinner before the major move. 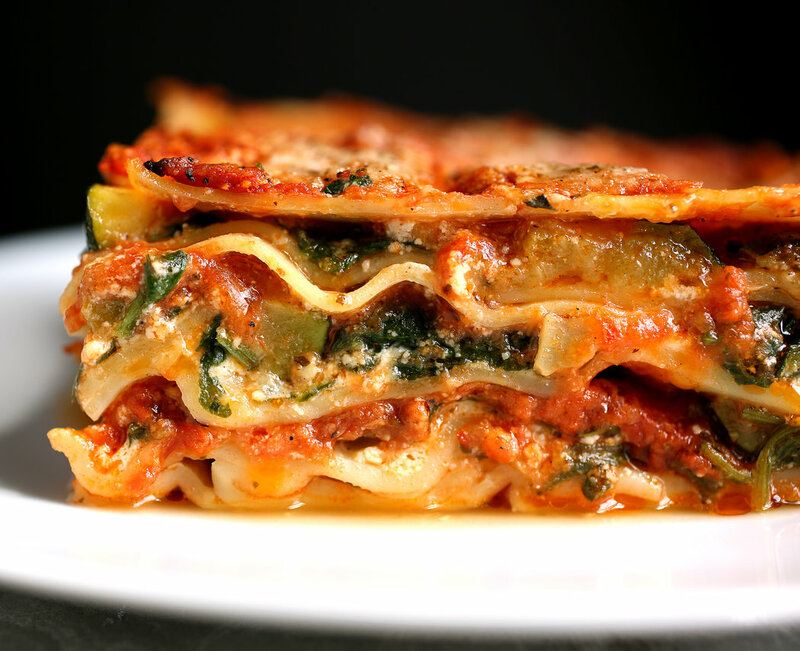 I made this perfectly summery Lasagna with spinach and roasted zucchini; a recipe I found using my NYT food app. It was light with minimal cheese and fresh sauce and it didn't feel wintery heavy. I had a fresh pea shoot salad and fresh baguettes for everyone. I love to cook and browse recipes so much that this app is better than Instagram for me. 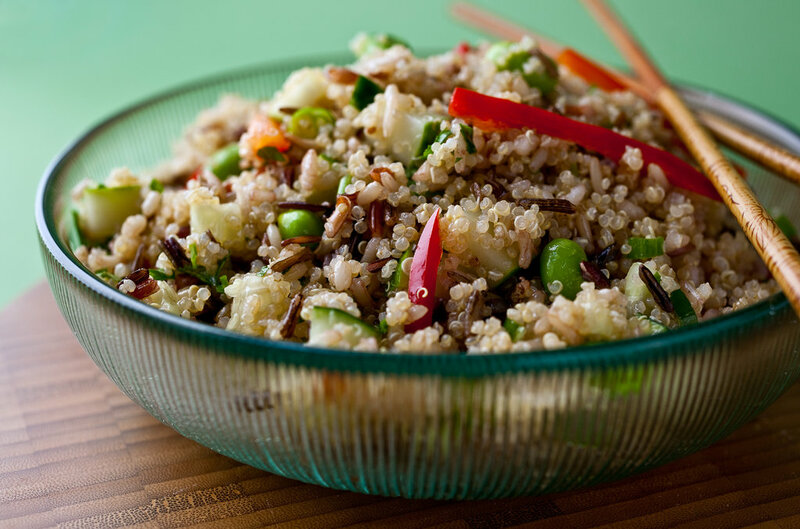 Last night we had a Cedar Falls Food Co-op potluck at 2nd State Brewery downtown and Groovy Girl and I made a really delicious pot of Quinoa and Wild Rice Salad with Ginger Sesame Dressing. This was a last minute recipe and I did not want to run to the grocery store during a perfectly good lazy summer day and after all, I had most of the ingredients. I did not have cilantro, or fresh lime, spring onions/scallions, or Asian sesame oil. I substituted fresh basil from my porch pot, Rose's Lime Juice (hey, it worked), left out onions and sesame oil. Our dressing instead was a spicy ginger-lime with a little cayenne and curry compliments of Groovy Girl. She can't help herself with the spices - she just goes to town with our well-stocked spice cabinet. I would definitely make this recipe again and we had lots of wild rice and quinoa left over to repurpose. 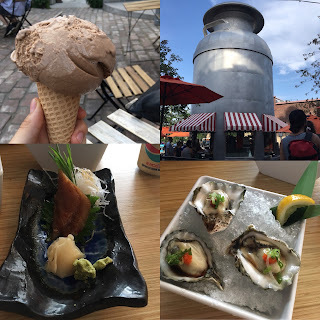 Have a delicious rest of your week! June; thank you so much. Wow - this month has flown by. 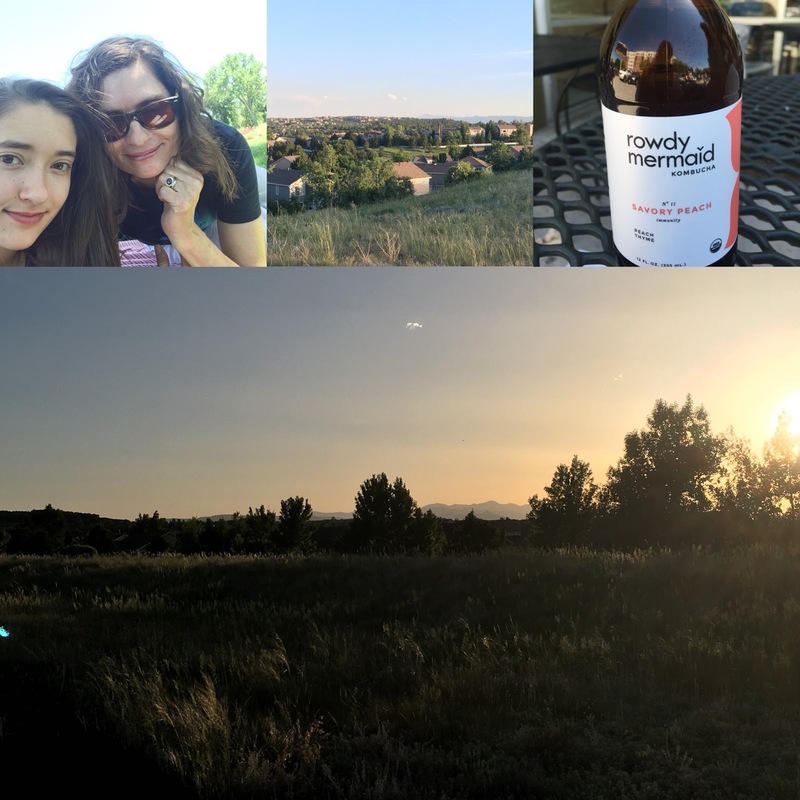 Groovy Girl and I started the summer off with a road trip to Denver, Co. We stayed with family and just had a lovely time. We hiked in the area and saw deer, bison + baby bison, and pronghorns. From Iowa, it is about an 11-hour drive and we did it in 2 days. Our favorite things were Sushi Ronin, Little Man ice cream both in the Highland area of Denver and I loved the Boulder Dushanbe Teahouse and we both loved hiking at Chautauqua in Boulder, walking the 16th Street Mall, and dipping our feet into Boulder Creek. We also had a great afternoon hanging out in Washington Park just enjoying. We had dinner with friends and family we have not seen for years and it felt great to reconnect. It is very important to keep lines of communication open in friendships and family circles. If not nurtured in some way they can easily wither away. Sometimes that can even mean a place and I definitely enjoyed connecting with Denver/Boulder again and I'm happy my daughter loved our experiences as well. I wished on the trip that I'd had the foresight to take each child on a high school road trip. There are a lot of skills learned on a road trip that you don't get if you take a 4-hour flight to the same destination. Different lessons. The talking and the navigation were the best parts; I'm trying to teach her to put down the phone as we drive so she can look out the window and daydream, think or just unwind. Unplugging is a huge challenge for all of us with smartphones. This trip was also a challenge to myself. I used to make this trek back and forth frequently when my son was younger and the trip was longer because I was often driving back to Minneapolis/St. Paul or Rochester area. I wanted to prove to myself that I could still make it happen and get myself around. And I did it. Bravo to me. My life can now continue! 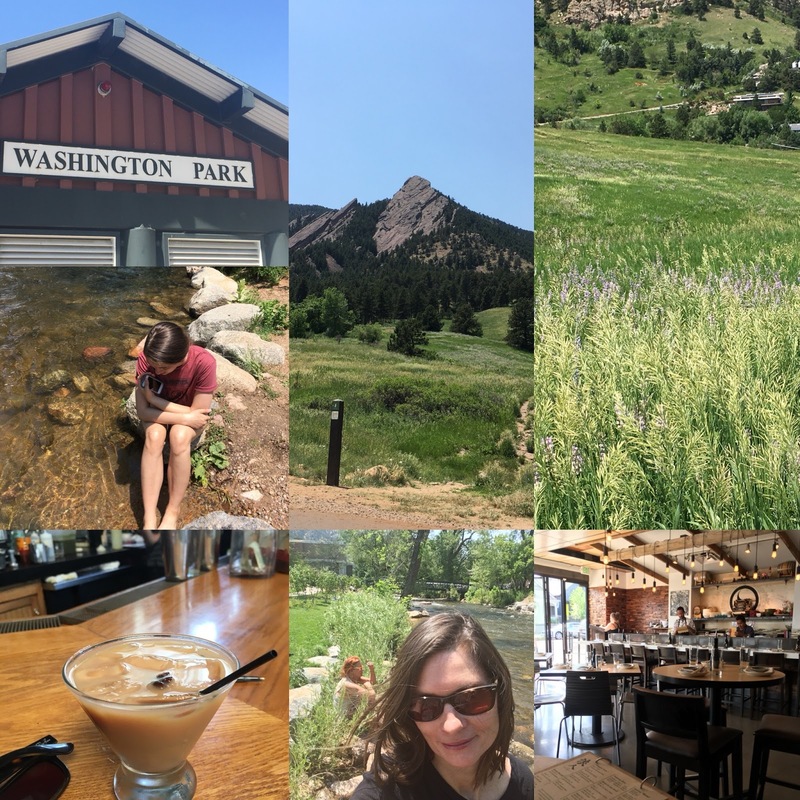 I've been lucky enough to call a variety of states home but Colorado will always hold a very special place in my heart. As we drove into the state and you can see your first glimpses of the mountains in the distance; my daughter said "hello mountains; its been too long". I agree. Our souls are better now. And then I'm just as happy when my little black Prius pulls us back into our little corner of Iowa and we are home; happy to sleep in our own beds and kiss the ground with happiness for a safe trip. There are some people in our lovely little house making a movie, creating art. About 7 people and my husband, shooting, holding a boom mike, and going over lines. Groovy Girl and I have sequestered ourselves on the second floor, in our rooms, doing homework and reading. Not what I expected to do with my day, ALL day, but such is this life. It is a fairly gorgeous day out and I did take the dog for a long walk. It seems like it would be a perfect hammock day but I cannot for the life of me find where I stashed them over winter. I always keep them in one particular place for safekeeping and they are not there. I think the husband must have taken them down and stored them and he needs to find them. We are missing precious hammock lazy moments. 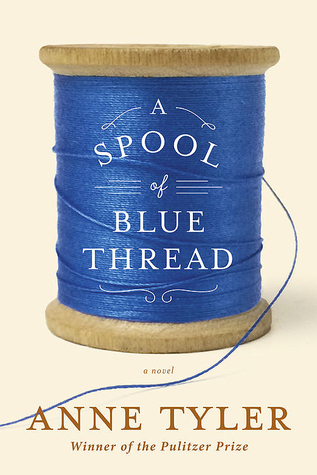 So with lots of time on my hands, I finished Anne Tyler's A spool of blue thread, a good solid story that tells the tale of the Whitshank family of Baltimore. It doesn't have a major plot upheaval and yet generally that is how family stories often are in life. Just a straight line with many zigs and zags up and down. 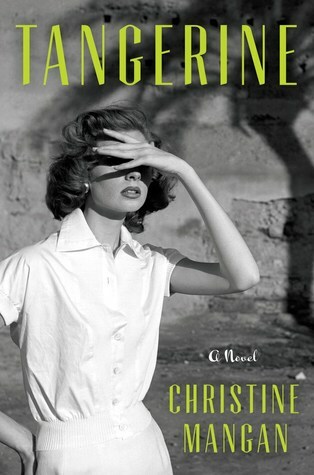 This was my first Anne Tyler and I would read another. 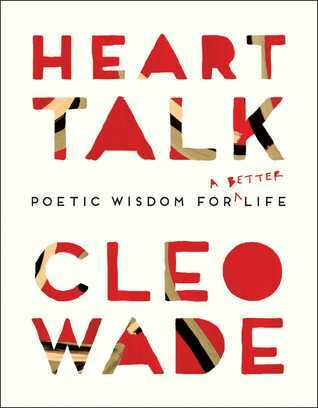 With that one done I've started Tangerine; a novel by Christine Mangan plus reading more of Cleo Wade's Heart Talk, a very inspirational book of wisdom. I love it when a friend orders a book based on my recommendation. It happened this morning; I raved about a book, News of the world, to my friend Tim at our church picnic and sent him a photo of it when I returned home. He responded back a few minutes later with "Just ordered it from Amazon!" We have just 2 1/2 days left of school! The year has flown by and in a few short days, it will truly be summer. Groovy Girl and I are taking to the road, headed to Denver, CO to stay with family for about a week. It's been quite a few years since I've made this road trip myself and while G.G. will keep me awake, she isn't able to drive just yet so it will be all me. 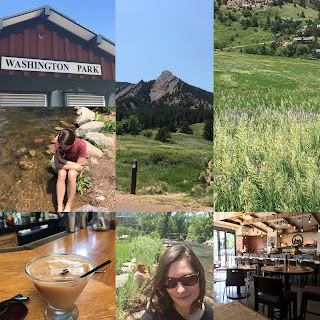 Generally, my husband does most of the driving (while I read) but I used to make this trek at least once a year when I lived there before there was a husband so it's a challenge for myself. Bring on the Red Vines and blue chips, the loud music and the laughs.